The SSEP Mission 11 to ISS flight experiments payload America is scheduled to launch Monday, August 14, 2017, at 12:31 pm EDT from historic Launch Complex 39A, Kennedy Space Center, Florida, aboard SpaceX CRS-12. The launch will be covered live on NASA TV, and we have provided a video portal below if you’d like to watch right here on the SSEP National Program website. Also below is the August 9, 2017, NASA Media Advisory which provides NASA TV live coverage times for the pre-launch news conference on Sunday August 13, launch on August 14, and arrival at Station on Wednesday, August 16. A heartfelt congratulations to all 80 student researchers comprising the 21 SSEP Mission 11 flight teams – we are all very proud of you. To SSEP Mission 12 communities – consider this a dry run for launch of the Mission 12 Mercury payload of experiments in mid- 2018. SSEP – real spaceflight all the time. That’s what we promised. As of this writing, we are at T-minus 2 Days 23 Hours 45 minutes and counting – see the countdown clock in the right column. Godspeed Dragon. There are 33 (of 80) SSEP student researchers traveling down for the launch of their experiments, as part of SSEP delegations representing 12 Mission 11 communities: Stonewall, Manitoba, Canada; iLEAD Consortium, CA; North Hollywood, CA: Hillsborough County, FL; College Park, MD (University of Maryland); Galloway, NJ (Stockton University); Springfield, NJ; Concord, NC; Knox County, TN; Burleson, TX; Lewisville, TX; and Pharr, TX. 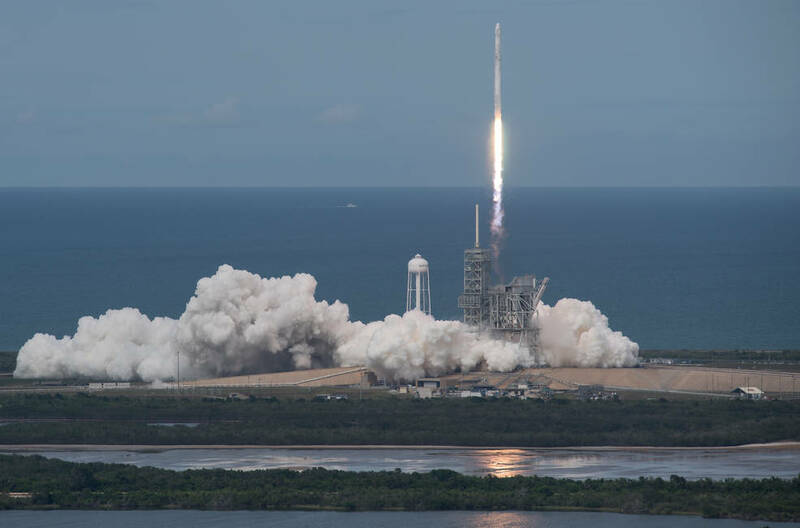 NASA commercial cargo provider SpaceX is targeting its 12th commercial resupply services mission to the International Space Station for 12:31 p.m. EDT Monday, Aug. 14. Coverage will begin on NASA Television and the agency’s website Sunday, Aug. 13, with two briefings. Loaded with more than 6,400 pounds of research, crew supplies and hardware, the SpaceX Dragon spacecraft will launch on a Falcon 9 rocket. 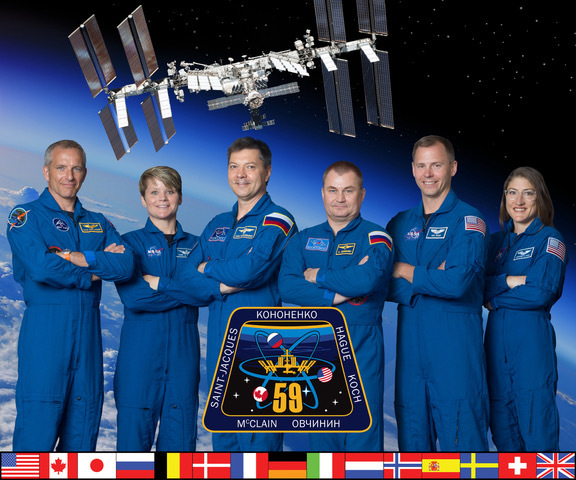 The payloads include crucial materials to directly support several of the more than 250 science and research investigations to be conducted on the orbiting laboratory during Expeditions 52 and 53. About 10 minutes after launch, Dragon will reach its preliminary orbit and deploy its solar arrays. A carefully choreographed series of thruster firings are scheduled to bring the spacecraft to rendezvous with the space station. NASA astronaut Jack Fischer and ESA (European Space Agency) astronaut Paolo Nespoli will grapple Dragon using the space station’s robotic arm. It then will be installed on the station’s Harmony module. Good luck to Mission 11 from WNY STEM, participants in Mission 9 and ready to participate in Mission 12! 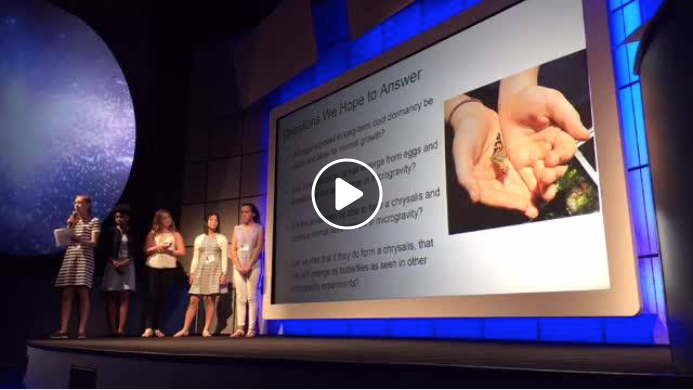 Hi Cherie:) All SSEP staff here at national are excited to see WNY STEM coming back for their second mission! Good luck to Mission 11 and to Team Galaxy Eggplants! I am so very proud of all of you! Good luck to our amazing Vista Magnet Middle School students flying their Mission 11 work to the ISS! Vista Unified School District and our San Diego North County community are so very proud of our superstar science girls! YOU ROCK! Good luck Deb Parker and your students. Hope all goes as planned. Congratulations and Good Luck to Deb Parker and the students in grade 6!!! I hope the astronauts like eggplant! Congratulations to Mrs. Parker and the Waterford Elementary School Galaxy Eggplant student team! What an exciting opportunity!! Will be watching the live stream and cheering you on! ISS here we come!! So proud of you!! Congratulations and good luck to Andrew, Stephanie, Logan, and Laurie! Way to go Lewisville TX! What an exciting opportunity! We will be watching the live stream launch from the lab. Best of luck to all SSEP schools from the iForward/Grantsburg Schools (recently selected to begin student research projects for Mission #12). Congratulations to Waterford Township Students – Awesome opportunity – we are watching! Congratulations Mrs. Parker and the Galaxy Eggplant students. We will be watching the live stream. This is amazing Galaxy Eggplant team and Mrs Parker!!. What an accomplishment. Congratulations! !